Scientists at the Alzheimer’s Association International Conference on Alzheimer’s Disease 2010 (AAICAD 2010) today presented the first draft reports from three workgroups convened by the National Institute on Aging (NIA) and the Alzheimer’s Association to update the diagnostic criteria for Alzheimer’s disease for the first time in 25 years. The current criteria for the diagnosis of Alzheimer’s were established by a National Institute of Neurological Disorders and Stroke (NINDS)/Alzheimer’s Disease and Related Disorders Association (ADRDA) workgroup in 1984. These criteria were almost universally adopted and have been useful; they have survived intact without modification for more than 25 years. However, experts note, the field has evolved to a great extent since then. At AAICAD 2010, leaders of the three workgroups – which covered Alzheimer’s disease dementia, mild cognitive impairment (MCI) due to Alzheimer’s disease, and preclinical Alzheimer’s disease – presented preliminary reports at a special session for initial comment by the Alzheimer’s community. Further input will be solicited by the NIA and the Association through a website launched immediately after the AAICAD presentations at www.alz.org/research/diagnostic_criteria. After that input is incorporated, next steps are publication in a peer-reviewed journal followed by systematic validation through incorporation of the criteria into clinical trials. “The proposed criteria for Alzheimer’s disease dementia must be flexible enough to eventually be used – once they are validated – by both general health care providers without access to neuropsychological testing, advanced imaging, and CSF measures, as well as specialized investigators involved in research or clinical trial studies with access to these measures,” said Guy McKhann, MD, of John Hopkins University School of Medicine, who chaired this workgroup. Alzheimer’s is thought to begin years, perhaps even decades, before symptoms are noticeable. But there is no single, generally accepted way to identify the disease in its earliest stages – before symptoms are evident. According to Phelps, earlier detection of people at highest risk for Alzheimer’s and those who have the earliest forms of the disease will facilitate finding the right individuals to participate in risk reduction and prevention research studies. “The NIA and the Alzheimer’s Association hope this process of updating and revising the Alzheimer’s diagnostic criteria with modern technologies and the latest advances will provide standards that move the field further in the direction of early detection and treatment,” Thies said. Alzheimer’s-driven changes in the brain, as well as the accompanying cognitive deficits, develop slowly over many years with dementia representing the end stage of years of pathology accumulation. At the same time, we know that some people have the brain changes associated with Alzheimer’s and yet don’t show symptoms of dementia. Predictive genes in early onset Alzheimer’s indicate that the initial events ultimately leading to both clinical symptoms and pathological brain changes begin with disordered beta amyloid metabolism. The e4 allele of the APOE gene is well accepted as a major genetic risk factor for late onset Alzheimer’s disease, which is defined as onset at 65 or older. Biomarkers of beta amyloid pathology, including amyloid PET imaging and levels of beta amyloid in cerebrospinal fluid (CSF). Biomarkers of neuronal injury, including levels of CSF tau and phospho-tau. Biomarkers of neuronal dysfunction, including decreased uptake of FDG on PET scans. Biomarkers of neurodegeneration, including brain atrophy on structural MRI scans. 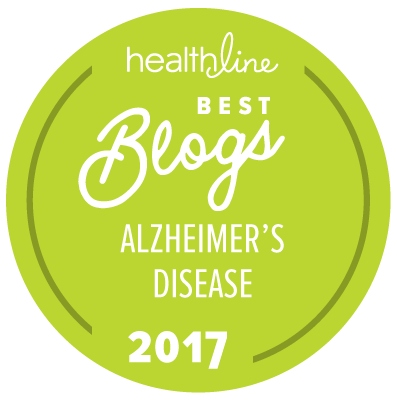 In addition, it has been only in the past decade that a better understanding of the distinctions and overlaps of Alzheimer’s with non-Alzheimer’s dementias has begun to emerge. Knowledge of the non-Alzheimer’s dementias was rudimentary in 1984, and the current diagnostic criteria are vague in defining distinctions between Alzheimer’s and the major alternatives. The common co-existence of Alzheimer’s and cerebrovascular disease is now appreciated. Much more is known about dementia resulting from Lewy Body disease, and also about Pick’s disease and other frontotemporal dementias. The NIA/Alzheimer’s Association working groups were organized around the three stages of Alzheimer’s disease that are commonly thought to exist today – pre-clinical Alzheimer’s, mild cognitive impairment (MCI) due to Alzheimer’s, and Alzheimer’s dementia. Pre-clinical – The group is laying out a research agenda to identify methods of assessment that may help predict risk for developing the disease. Biomarkers and other clinical assessment tools to identify early cognitive decline are being investigated to establish the presence of Alzheimer’s brain changes in people with no overt symptoms and to identify those who may eventually develop the disease. Mild cognitive impairment – The group is refining the MCI criteria, which will help to indicate cognitive change before dementia and better differentiate MCI from Alzheimer’s. Research is underway to better understand the cognitive changes taking place, how they may relate to biomarkers, and which of these methods best indicate the likelihood of imminent progression to Alzheimer’s dementia. Alzheimer’s dementia – The group is revising the existing criteria for diagnosing Alzheimer’s to include possible biomarkers and other assessments that may aid in diagnosis. Please visit alz.org for more information.